After the sharp decline, it seems that EURUSD is looking for a floor. Euro-zone’s unemployment rate and Germany’s retail sales data have been released and now trader are waiting for ISM Manufacturing PMI. 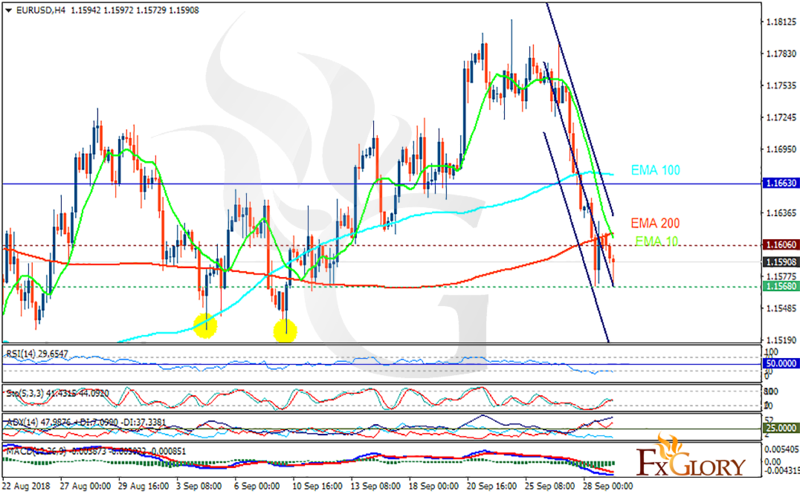 The support rests at 1.15680 with resistance at 1.16060 which both lines are below the weekly pivot point at 1.16630. The EMA of 10 is moving with bearish bias in the descendant channel and it is below the EMA of 200 and the EMA of 100. The RSI is moving in the oversold area, the Stochastic is moving in middle ranges and the MACD line is below the signal line in the negative territory. The ADX is showing strong sell signal. The support level breakthrough will smooth the way for further decline towards 1.15; otherwise, EURUSD may start its correction pattern anytime.